The nonprofit Partnership for Food Safety Education is introducing a new campaign, GO 40 °F OR BELOW, to call attention to the importance of the home refrigerator in reducing the risk of foodborne illness. Harmful bacteria that cause food poisoning thrive and grow at warmer temperatures. When food is left out too long at room temperature, or when a home refrigerator is set too warm, bacteria such as Salmonella Enteritidis, Escherichia coliO157:H7, and Campylobacter can grow to dangerous levels that might make you and your family sick. Bacteria grow most rapidly in the “danger zone” between 40 °F and 140 °F. Each year, about 48 million people in the US (1 in 6) get sick from eating contaminated food or beverages. The bacteria and viruses that cause the greatest number of illnesses areSalmonella, Campylobacter, and Norovirus. One less common, but often deadly, foodborne bacteria, Listeria monocytogenescan be especially dangerous. The CDC estimates approximately 1,600 illnesses and 260 deaths due to Listeriosis occur annually in the US. With GO 40 °F OR BELOW, the Partnership for Food Safety Education aims to change these statistics by empowering consumers with the knowledge and tools to reduce the risk of Listeriosis and other foodborne infections. Almost all cases of Listeriosis occur among pregnant women, older adults (ages 65 and over) and people with immune-compromising conditions. Listeriosis can pass from pregnant women to their fetuses and newborns, which can lead to miscarriages, stillbirths and even newborn deaths. A pregnant woman is 10 times more likely to contract Listeriosis than is another healthy adult while a pregnant Hispanic woman is 24 times more likely to contract Listeriosis – in part due to soft cheeses often found in her diet. Older adults are also highly susceptible to Listeriosis and other foodborne illnesses. Listeria can spread through the bloodstream to cause meningitis, and often kills. The older you are, the greater the risk. An older adult is 4 times more likely to contract Listeriosis than is another healthy adult. Simple solutions like making sure a home refrigerator is set at the right temperature can make a big difference. A risk assessment developed by the US Food and Drug Administration and the US Department of Agriculture found that the predicted number of cases of Listeriosis would be reduced by more than 70% if all home refrigerator temperatures did not exceed 41 °F. 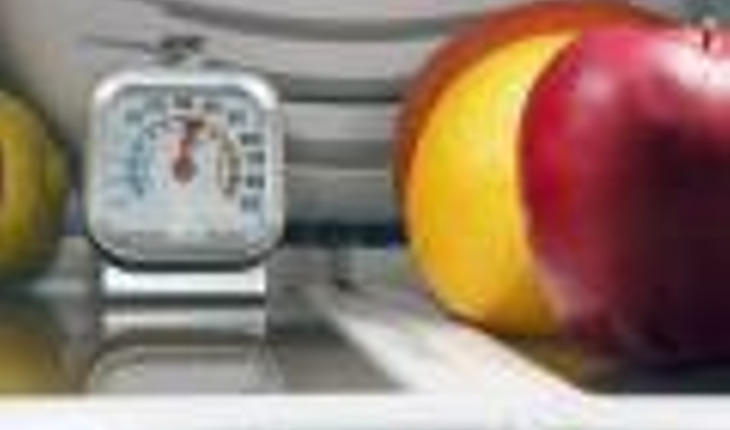 The only way to be sure the home refrigerator is at or below the recommended temperature of 40 °F is to measure the temperature with a refrigerator thermometer. This type of thermometer is usually a separate tool that stays in the refrigerator and displays the actual temperature. Refrigerate or freeze perishables, prepared foods and leftovers within two hours of purchase or use. Thaw and marinate food in the refrigerator, not on the counter. Separate large amounts of leftovers into small, shallow containers for quicker cooling in the refrigerator. Use or discard refrigerated leftovers within 3-4 days. Clean up spills in the refrigerator immediately, and regularly clean the inside walls and shelves with hot water and liquid soap. To keep a food-safe home, consumers are urged to always check the steps of CLEAN, SEPARATE, COOK and CHILL when preparing food at home. When consumers understand the causes of foodborne illness and how to prevent it, they equip themselves with the right tools to reduce risk to themselves and their families. GO 40 °F OR BELOW was developed with grant support from the Food Marketing Institute Foundation. To help support the role of food retailing, the FMI Foundation focuses on research and education in the areas of food safety, nutrition and health. Additional support for the Partnership is provided by Cargill, Inc., Grocery Manufacturers Association, NSF International, and the Produce Marketing Association. To learn more about how you can protect your family and friends from foodborne illness, and to download a GO 40 °F OR BELOW brochure, visit www.fightbac.org.